These are #6 Mini Chicago Screws in 1/4" inch barrel length. 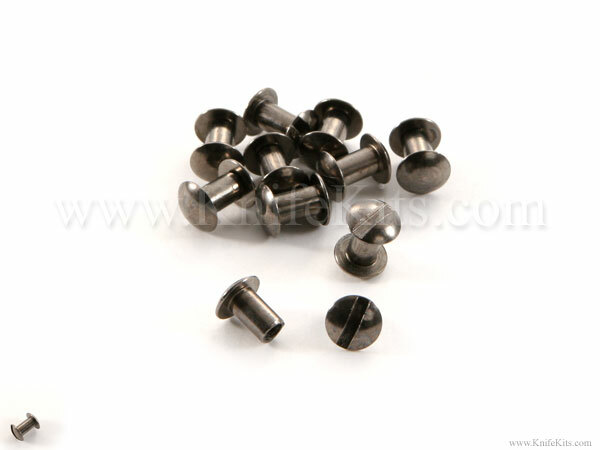 They have a Gun Metal finish and are designed for precision fit through a coated and rolled #6 sheath eyelet. #6 Mini Chicago Screws are used to securely fasten items to your sheath or holster, such as the belt clip assembly or additional gear.